Welcome To the FUN Place! 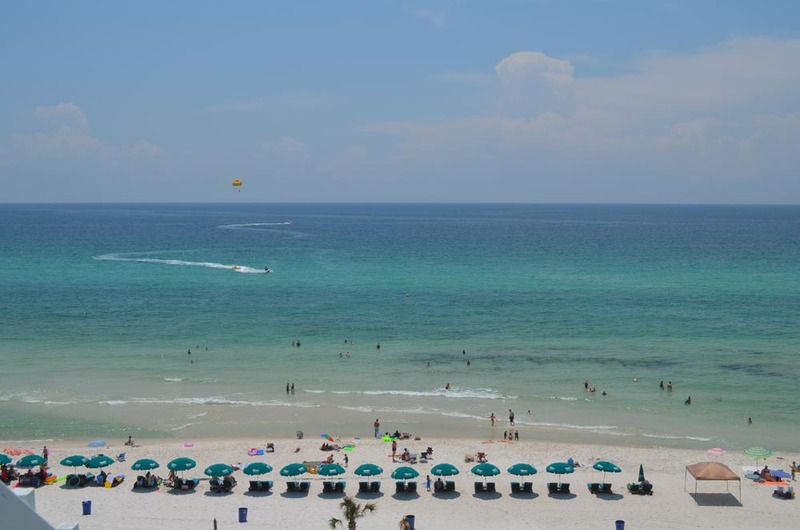 There are many Panama City Beach Hotels but the Sandpiper Beacon Resort and Tiki Bar provides you with a complete vacation experience making it so much more than just a place to stay. 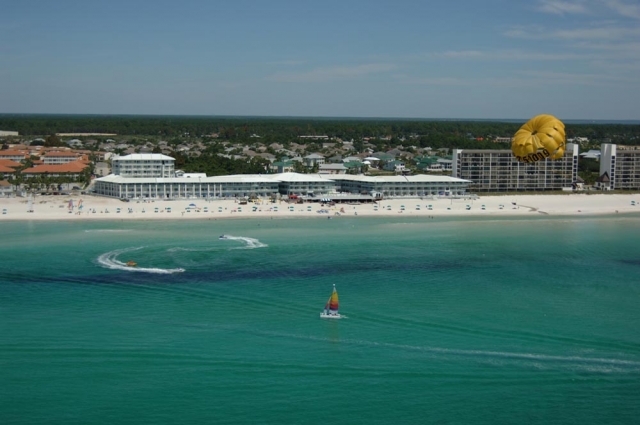 Located directly beachfront, the Sandpiper Beacon offers year-round, family-friendly activities, amenities and entertainment so that many guests never leave during their stay! The Sandpiper Beacon is committed to providing a unique beach vacation experience, filled with fun, which can be difficult to find in Panama City Beach Condos. With a wide selection of rooms to choose from, the Sandpiper makes it easy for you to find the perfect fit for your group size or budget. The Resort has 20 different room types as well as one, two, and three room suites, beachfront villas, beach houses, and condo units. Full kitchens as well as microwaves and mini fridges are available for your convenience: and with our On-site Ice Cream Shop and Grocery Store, saving money and cooking on vacation just got easier. The Sandpiper gives you lots of fun things to do in Panama City Beach – including entertainment and activities for young and old alike! 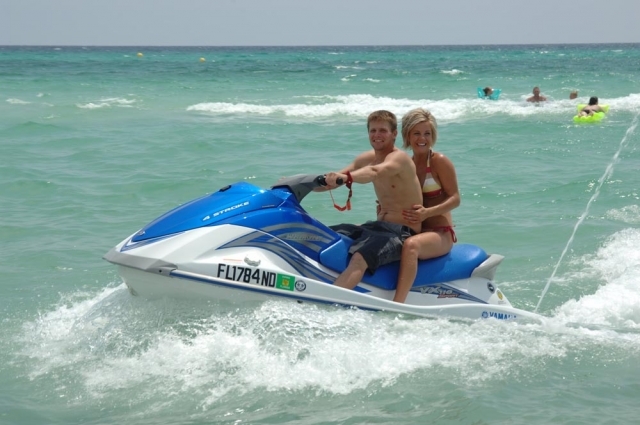 The Resort makes it a priority to supply the FUN for your beach vacation! 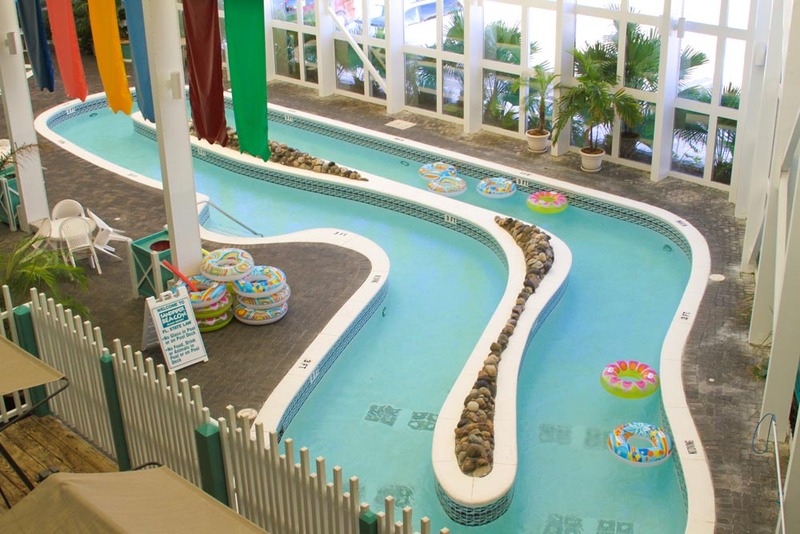 Take a dip in one of the four seasonally heated pools, relax in the indoor lazy river ride or huge beachfront hot tub. 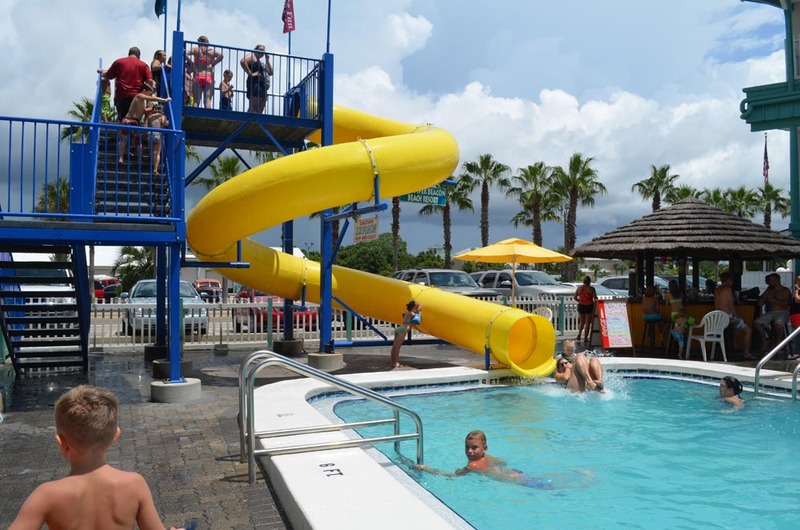 Make a splash on the two story Turbo water slide for kids, or let the little ones wade in the kiddie pool. Whether you’re playing a game of miniature golf on the onsite putt putt course, getting the family together for a game of beach volleyball, playing on the beachfront playground, you’ll find lots to do for the whole group! Be sure to take advantage of the on-site resort amenities, such as the original Panama City Beach Tiki Bar – located right on the beach. 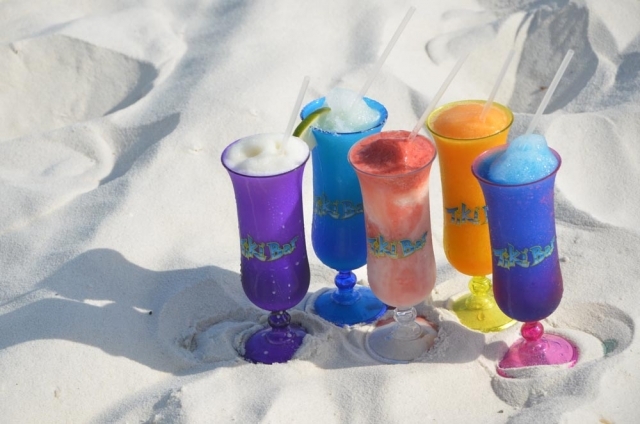 Enjoy the open air atmosphere while watching the waves roll in, the breathtaking sunset, and sipping on a delicious tropical beverage! 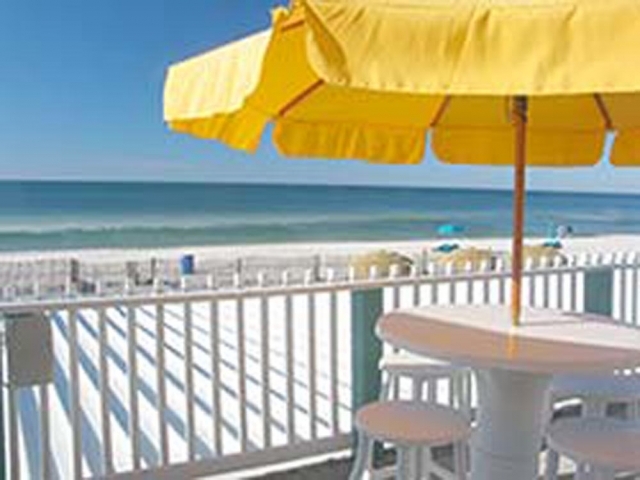 You’ll find that this Resort Hotel is unique to any other accommodation on the beach. Also stop by the All-That Deli, Ice Cream Shop & Grocery Store, Gift Shop & Beach Supplies, Laundry Facilities, Arcade Game Room, Beachfront Grills and BBQs, Full Beach Service offering all guests a huge 25% discount on all Panama City Beach watersports including Parasailing, Jet Skis, Banana Boats, Hobie Cat Sailboats, Lounge Chairs and Umbrellas, and a FREE Shuttle to and from the new Northwest Florida Beaches International Airport. Aside from the awesome amenities, the Sandpiper brings even more fun to your doorstep. Seasonal Activities include: Friday Fun Fests’ with Balloon Art, Face Painting, Wacky Hairdos, Glitter Tattoos, Tiki Punch, and Cookie Cake, all free for registered guests, Giant Inflatable Water Slides, Beachside Games and Contests, Family Bingo, S’mores Nights, Craft Hours, Live bands and Music, Karaoke, Buzztime Interactive Video Games, Scavenger Hunts, Magic Shows, Authentic Polynesian Fire Dancer Revue, and Hula Lessons. 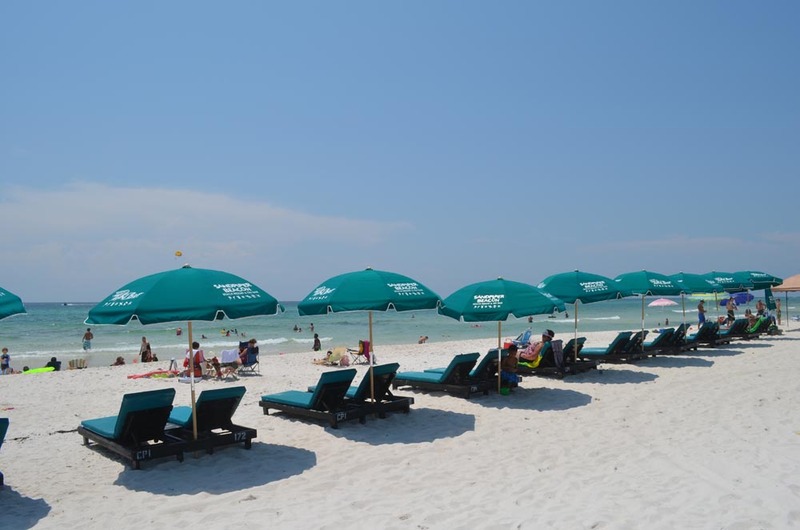 If you feel like exploring Panama City Beach outside of the Resort Hotel, the Sandpiper is conveniently located near incredible shopping, lots of Panama City Beach restaurants and attractions. These include Pier Park Mall and Gulf World Marine Park. 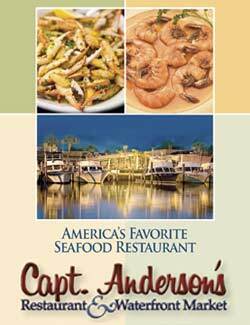 All registered Guests of the Sandpiper can also take advantage of an exclusive Coupon Book packed full of savings for lots of hot spots all over the beach! 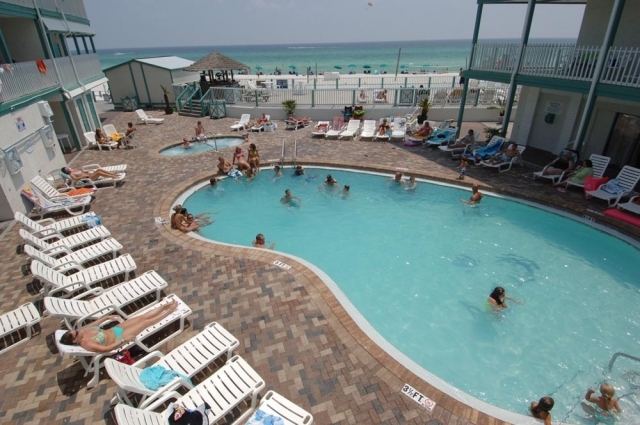 The Sandpiper Beacon Beach Resort is one of the Panama City Beach Hotels that really prides itself with excellent customer service, offering a fun, convenient, comfortable and affordable beach vacation with 24 Hour Guest Services, amazing amenities, activities for all ages, and hospitable staff. Experience for yourself why guests keep coming back year after year!